One of our goals for Firefox for Android 42.0 was to create a kid and parent-friendly web experience (Project KinderFox / KidFox): The browser should be easy to use for a kid and at the same time parents want to be in control and decide what the kid can do with it. There are a lot of things you can do to create a kid-friendly browsing experience. 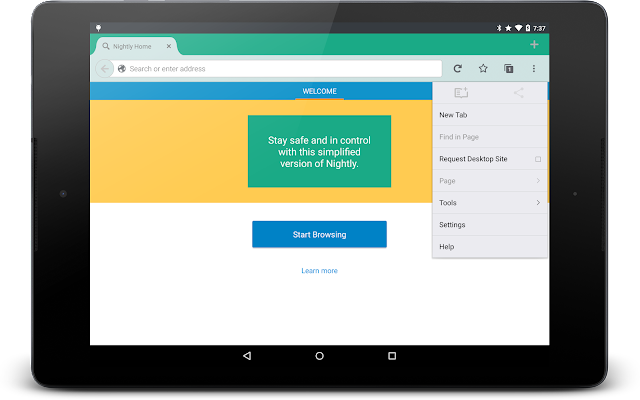 In this first version we focused on making the browser simpler by hiding complex or kid-unfriendly features and utilizing the parental controls of the Android system: Restricted profiles. Restricted Profiles have been introduced in Android 4.3. 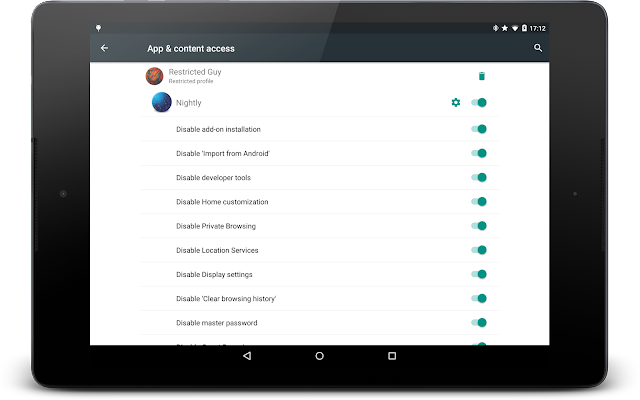 The device administrator can create these profiles and restrict access to apps and features on the device. In addition to that restrictions inside an app can be configured if supported by the app. Configuring which apps the restricted profile can acccess. A unique feature of restricted profiles is that they share the Google account of the device owner. It does not allow full-access to everything connected to the account but it allows the restricted user to watch content (e.g. movies and music) bought with that account or use paid applications. Of course only if the device owner explicitly allowed this. Unfortunately Restricted Profiles are only supported on tablets so far. It is a pity because in the meantime Google allowed to create full-featured and guest profiles on phones too. Configuring restrictions of an application. Later the application can query the UserManager to ask which restrictions have been enabled or disabled. There are two kinds of restrictions. User restrictions are imposed on the user by the system and application restrictions are added by an application via the broadcast mechanism mentioned above. An application can query the UserManager only for its own and global user restrictions. One of the first things you might want to do in your app is to detect if the current user is using a restricted or a normal profile. There's no API method to do that and the video linked above suggests to query the user restrictions from the UserManager and if the returned bundle is not empty then you are in a restricted profile. This worked fine until we deployed the application to a phone running an Android M preview build. On this phone - that doesn't even support restricted profiles - the UserManager always returned a restriction. Whoops, suddenly everyone with Android M on their phones had a very limited Firefox Nightly. We then switched to iterating over the returned Bundles (for application and user restrictions) and only assuming we are in a restricted profile if at least one restriction in those bundles is enabled (getBoolean() returns true). In general it is a better approach to never detect whether you are in a restricted profile or not but instead always check whether a specific (application) restriction is enabled or not. Hiding features and UI in restricted profiles will add a lot of if statements to the code base. It would have been nice to have a resource qualifier for restricted profiles to load different layouts, drawables and other configurations. Besides that this would also solve the "detect restricted profile" problem quite elegant. At runtime we noticed that we have been triggering a lot of disk read violations. Looking at Android's source code it turns out that UserManager.getApplicationRestrictions() reads and parses an XML file on every call. Without caching anything like SharedPreferences do. We worked around that by implementing our own memory cache and refreshing the list of restrictions whenever the application is resumed. To update restrictions the user will always have to switch to the admin profile and therefore leave (and later resume) the application. Android Marshmallow (6.0) introduced a new Easter egg system restriction: UserManager.DISALLOW_FUN - Specifies if the user is not allowed to have fun. In some cases, the device owner may wish to prevent the user from experiencing amusement or joy while using the device. The default value is false. Simplified browser UI with custom theme using a restricted profile (Firefox 42). With the current set of restrictions parents can create a kid-friendly and simplified browsing experience. Of course there are a lot of more possible features around parental controls that come to mind like block lists and restricting Web APIs (Microphone, Webcam). Some of these ideas have already been filed (Bug 1125710) and in addition to that we just started planning features for the next version (Bug 1205615). More ideas are definitely welcome! 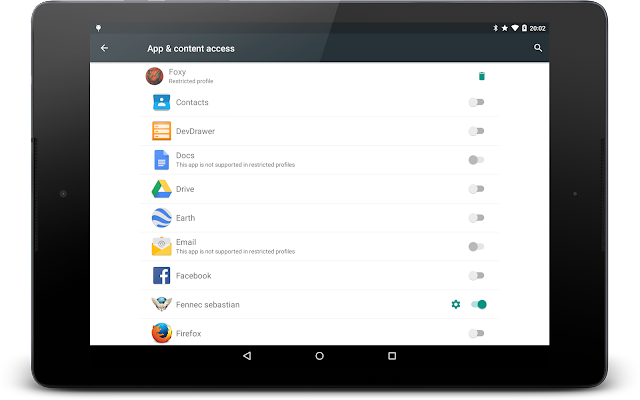 Firefox for Android is open-source software and contributors are very welcome! You can find me on IRC (irc.mozilla.org) in #mobile (my nickname is "sebastian"), on Twitter and Google+. 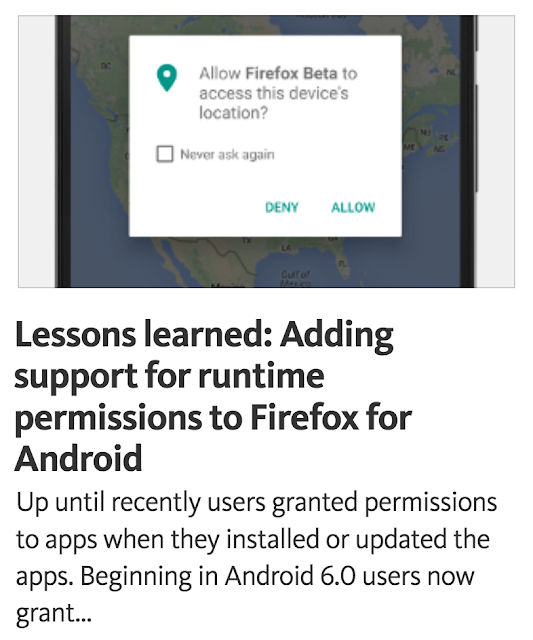 Get involved with Firefox for Android. 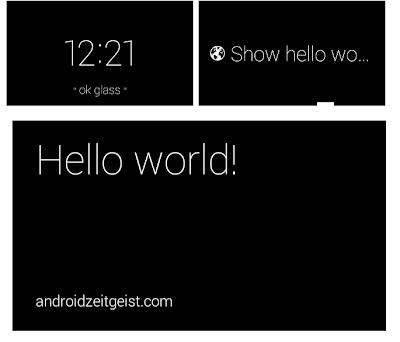 This article describes how to create a simple hello world application for Google Glass using the Glass Development Kit (GDK). 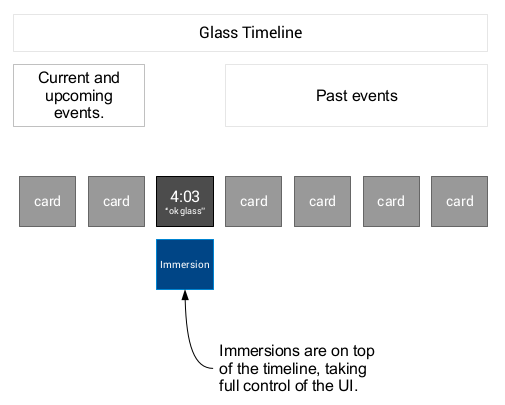 As described in the previous article you have two options how your Glassware should show up on the device: As a live card that is part of the timeline or as an immersion that is displayed outside of the context of the timeline. This article focuses on how to write an immersion. An immersion is basically an Android activity. The name immersion implies that it is not part of the normal Glass timeline. Instead it takes full control of the device - except for the back gesture (Swipe down). To go back to the timeline you need to leave the immersion. Once started an immersion takes full control of the screen. 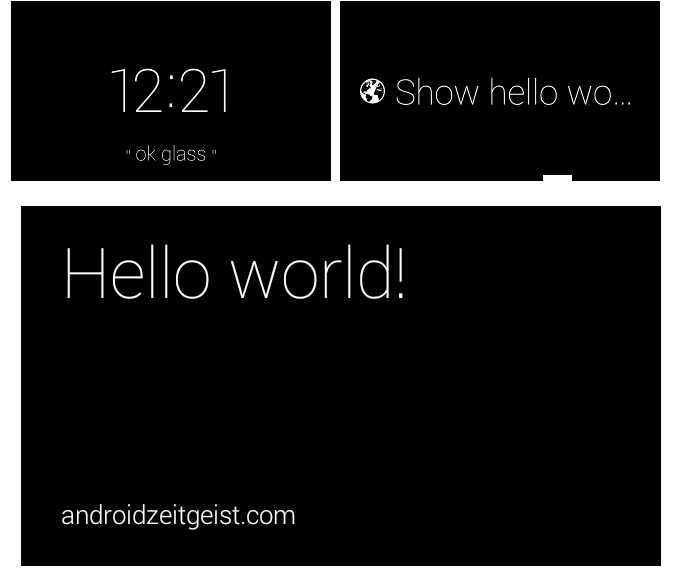 Set compileSdkVersion to "Google Inc.:Glass Development Kit Sneak Peek:15"
Let's create a simple activity. 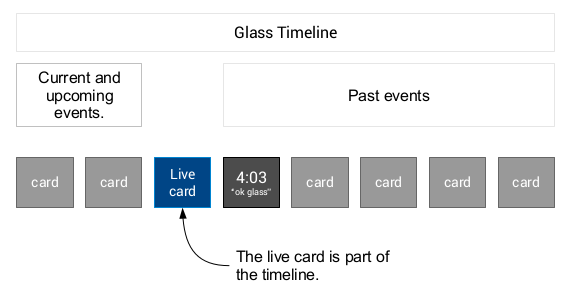 The Card class helps us to create a layout that looks like a timeline card. After creating the activity we need a way to start our Glassware. A common way to launch Glassware is to use a voice trigger. Let's add a simple voice trigger to start our hello world activity. The developer guide requires you to add an icon for the touch menu to the activity (white in color on transparent background, 50x50 pixels). The Glass Asset Studio is a helpful tool to generate these icons. The source code for this Hello World Glassware is available on GitHub. It's the end of the year - YouTube and Google Zeitgeist have posted their reviews. Let's have a look on what happened in the Android world in 2013. 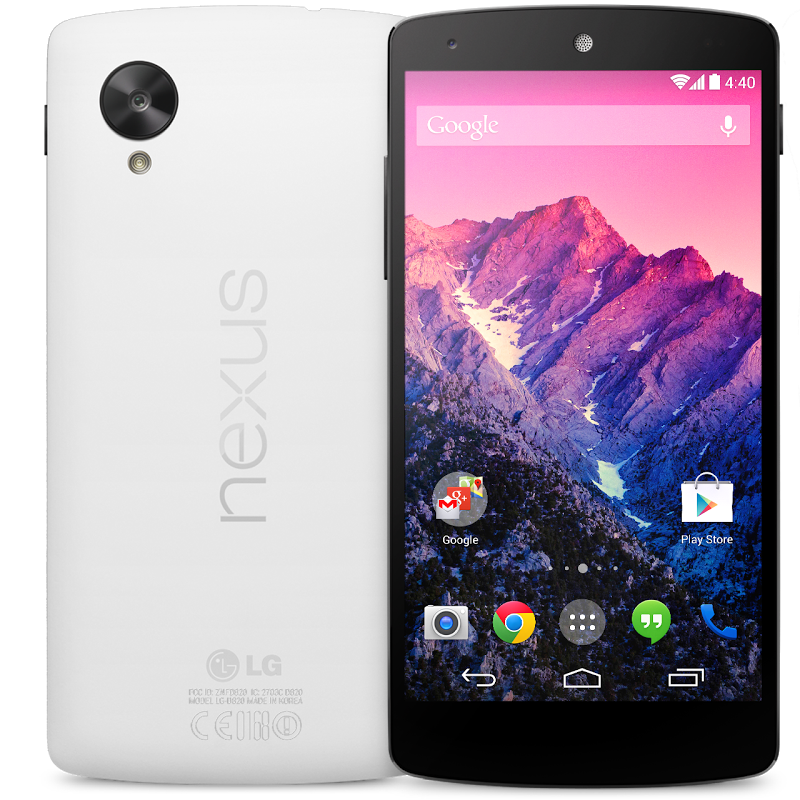 2012 is over and the Nexus 4 is the current flagship phone made by Google and LG. Google+ Sign-In is integrated into the Google Play Services and Google starts accepting applications for the Google Glass Explorer program. The new Android developer console is out of preview. While Google Play celebrates it first birthday, the market share of Android hits 64%. The tablet guidelines are updated and the Android developer console starts to show tablet optimization tips. Google pushes a Google Play app update that features a redesigned UI. Samsung releases it new flaship phone - the Samsung Galaxy S4. 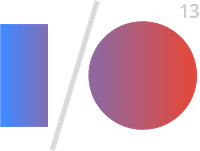 The Google I/O takes place for three days from May 15th to 17th. This time there won't be a new Android release. Instead Google releases new game services and a new location API. At the Google I/O a new IDE for Android development is introduced: Android Studio. Since then every couple of weeks a new Android Studio update is pushed to the developer community. A new flavor of Android Jelly Bean is released: Android 4.3. Open GL ES 3.0 and support for low-power Bluetooth Smart devices are some of the new features. Furthermore a new version of the Nexus 7 is released. Together with the new tablet Google releases the Chromecast dongle and the Google Cast SDK preview. Google releases version 3.2 of the Google Play Services. The update includes several enhancements to the Location Based Services. With the r18 release of the support library Google released a new backward-compatible Action Bar implementation called ActionBarCompat. Motorola is releasing the Moto X - its first phone since the company has been acquired by Google. The same month Hugo Barra announces to leave Google after 5½ years to join the Xiaomi team in China. RenderScript is now part of the support library and can be used on plaform versions all the way back to Android 2.2 (Froyo). Jean-Baptiste Queru, who worked on the Android Open Source Project at Google, starts a new job at Yahoo. Google launches the Android device manager website to locate, lock and ring misplaced devices. 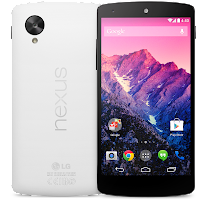 After a lot of leaks and rumors a new Nexus phone is released on Halloween. 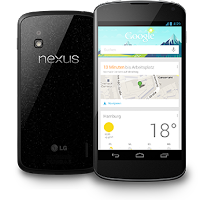 Together with the Nexus 5 a new Android version - Android 4.4 KitKat - is published. Full-screen immersive mode, a new transitions framework, a printing framework and a storage access framework are some of the many new features. In addition to that he Google Play Services are updated to version 4.0. With Romain Guy another popular Android team member is leaving - but remaining at Google. 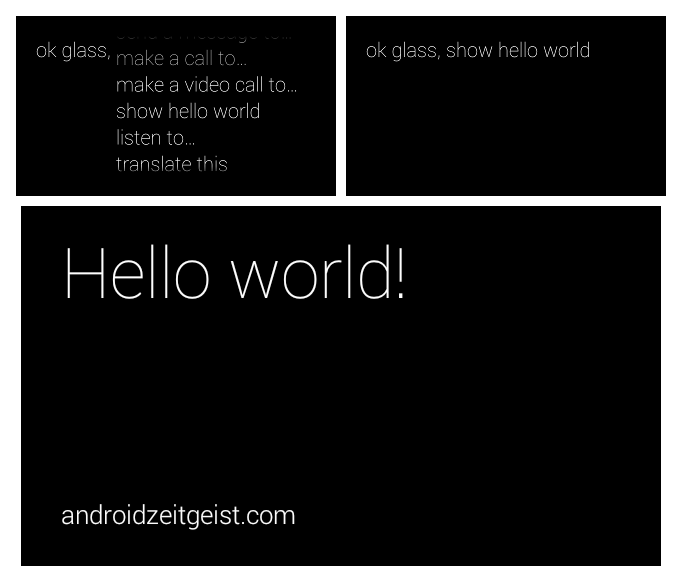 The App Translation Service, announced at Google I/O, is now available for every developer. Motorola releases a second phone - the Moto G. Android hits a new record with 80% market share. 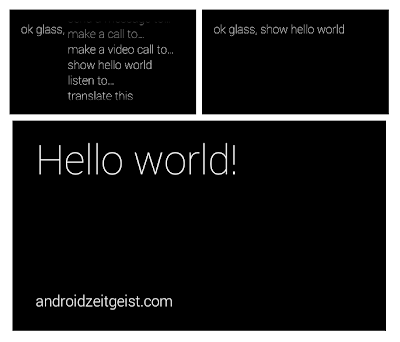 The Google Glass team releases a first sneak peek version of the Glass development kit (GDK). Two small updates for Android KitKat are released: Android 4.4.1 and 4.4.2. The Android device manager is now available as an app. 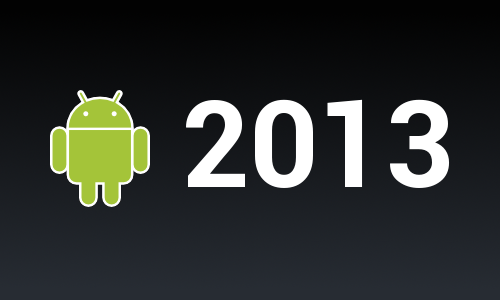 What has been your Android highlight in 2013 and what are your wishes for 2014? 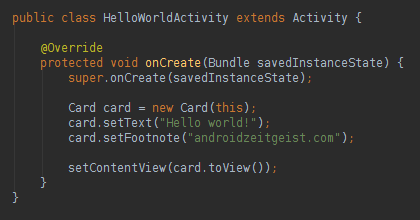 In the new category Read the code I’m going to show the internals of the Android framework. Reading the code of the framework can give you a good impression about what’s going on under the hood. In addition to that knowing how the framework developers solved common problems can help you to find the best solutions when facing problems in your own app code. What is the IntentService class good for? This article is about the IntentService class of Android. Extending the IntentService class is the best solution for implementing a background service that is going to process something in a queue-like fashion. You can pass data via Intents to the IntentService and it will take care of queuing and processing the Intents on a worker thread one at a time. When writing your IntentService implementation you are required to override the onHandleIntent() method to process the data of the supplied Intents. Let’s take a look at a simple example: This DownloadService class receives Uris to download data from. It will download only one thing at a time with the other requests waiting in a queue. Before we dip into the source code of the IntentService class, let's first take a look at the different components that we need to know in order to understand the source code. You may already have used Handler objects. When a Handler is created on the UI thread, messages can be posted to it and these messages will be processed on the UI thread. The ServiceHandler inner-class is a helper class extending the Handler class to delegate the Intent wrapped inside a Message object to the IntentService for processing. The Looper class has a MessageQueue object attached to it and blocks the current thread until a Message is received. This message will be passed to the assigned Handler. After that the Looper processes the next message in the queue or blocks again until a message is received. A HandlerThread is a Thread implementation that does all the Looper setup for you. By creating and starting a HandlerThread instance you will have a running thread with a Looper attached to it waiting for messages to process. Now we know enough about all the components to understand the IntentService code. At first a HandlerThread is created and started. We now have a background thread running that already has a Looper assigned. This Looper is waiting on the background thread for messages to process. Next a ServiceHandler is created for this Looper. The Handler’s handleMessage() method will be called for every message received by the Looper. The ServiceHandler obtains the Intent object from the Message and passes it to the onHandleIntent() method of the IntentService. The onStart() method is called every time startService() is called. 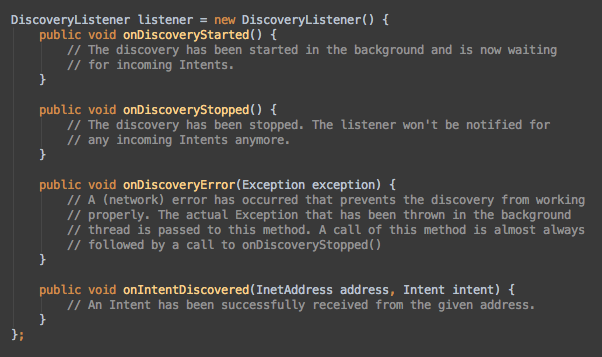 We wrap the Intent in a Message object and post it to the Handler. The Handler will enqueue it in the message queue of the Looper. The onStart() method is deprecated since API level 5 (Android 2.0). Instead onStartCommand() should be implemented. 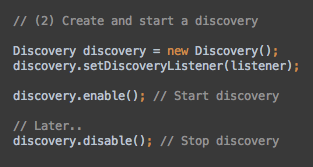 In onStartCommand() we call onStart() to enqueue the Intent. We return START_REDELIVER_INTENT or START_NOT_STICK depending on what the child class has set via setIntentRedelivery(). Depending on this setting an Intent will be redelivered to the service if the process dies before onHandleIntent() returns or the Intent will die as well. In onDestroy() we just need to stop the Looper. 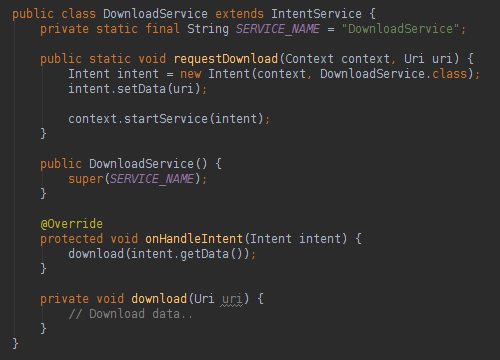 The IntentService code is quite short and simple, yet a powerful pattern. With the Handler, Looper and Thread class you can easily build your own simple processing queues.